Home > Parenting Blog > Is your child addicted to the “screens”? Here’s how you can change that. As parents, have you observed that your children are hooked on to cell phones most of the times? Has the smart phone become the center of attraction of your house? Does the phone grab all the attention in the house? Have you snatched a smart phone from your child’s hands and had heated arguments? Do you find your children to be restless and obsessed with smart phones and games? This is a major challenge of the new age parents. In the 90’s, gifting a video game to children as a birthday gift or as rewards for achievements was a common thing. These games were restricted to desktops or connected to televisions. With technological transformations, these video games are on our palmtops, tabs and cell phones. 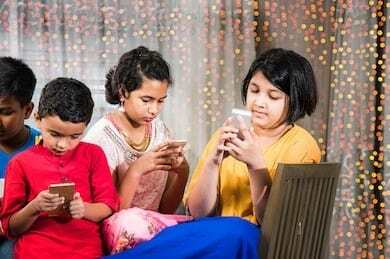 Children of the millennium are forced to embrace the harsh effects of technological advances as these gadgets are common to any household, either rich or poor. Struggles to sustain attention to study activities. Feeling restless. They can’t sit in one place for more than a few minutes. Over-dependence on the smart phone is nothing but soothing psychological distress. One develops an addiction when there is some psychological motive that hasn’t been fulfilled. Say, for example, loneliness, bullying, or not enjoying interesting/creative work. Playing a particular game lulls you into a distracted state. Regarding soothing those psychological dilemmas, smart phones play a role of a de-stressor. In an age of anxiety, the smart phone is a readily available device that helps soothe this anxiety in an easy way. If your answer to any of the questions below is YES, then it’s time to take some serious action. Is your pre-teen or teen addicted to video games and social media forums? Does your child crave for being given the privilege of a smart phone? Does the child tend to spend most of the time playing games with the smart phone, instead of playing outside? Is your child struggling with social anxiety, like say making good eye contact or talking to people, etc.? Is your child getting aggressive or abusive (verbally or physically) quite frequently? Are you stuck up with heated arguments with your child more frequently? Are your child’s academic grades going down? Set Rules: Together with the child, make rules for your child concerning the usage of smart phones. Set timings for the family as a whole not to indulge in activities involving smart phones. For example, none of the family members will have access to smart phones between 7 p.m. and 10 p.m. We have limited time to be with our family. Why lose it on gadgets and unproductive activities? Where there is a will, there’s a way: A ray of hope creates a positive environment and increases the scope for improvement. Help your child gain self-confidence. Explain to your child the effects of over-usage of gadgets and encourage towards improvements. Instill the word ‘I can’ and the value of commitments. This boosts the self-confidence and enhances a positive self-image for the child. Help children set goals of their own: Goals give us a direction in life. It creates a sense of responsibility to achieve desired goals. It provides a direction and thus motivates them to focus and concentrate on the work they do. Don’t hesitate to take professional help to achieve this. It’s tough to break habits, but can be replaced. Identify the strengths and interests of the child and replace the time spent on gadgets with pleasurable activities. Be a vital aid to your child during this transition period. A smooth transition from screen to green is what needs to be done. Involve the child in creativity-enhancing games. As mentioned in the earlier blog, creativity is crucial in the development of tender minds. Enjoy playing with children and help them stay away from spending time with technological devices. Introduce a pet at home. 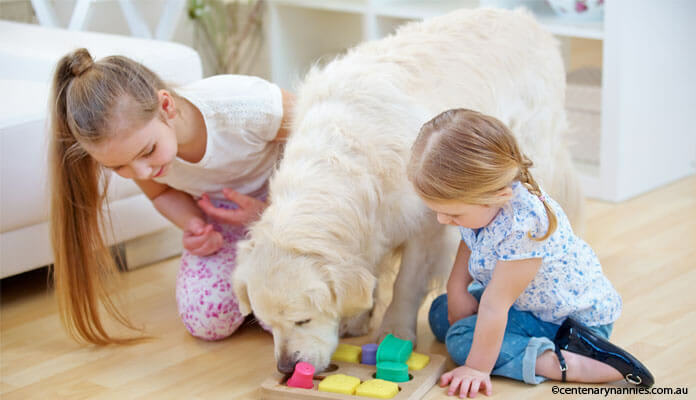 We are all aware of the proven health benefits of having a pet at home. The child’s bonding with a pet is simply amazing, and the emotions involved bring life to dull days. It uplifts moods and helps mind soothe and be free from any emotional distress. The happiness of having a pet is just immeasurable. Indulge in a much-loved physical activity. Exercise integrates the mind and the body. This amalgamation helps the mind to soothe and deal with anxiety and restlessness. Indulge yourself along with your child in a dearly loved physical activity. Seek for professional help in case of high addictions: Do not hesitate to approach any professional psychologist/ psychotherapist to overcome gadget dependence. There are several psychotherapy techniques that can help deal with the situation. Use your smart phone smartly and let children enjoy the smartness of life. Psychotherapist, Life Coach, Parent Coach. 6 steps to introduce your children to the healthy habit of Reading 5 Steps to Enhance Creativity in Children Introducing Emotional Quotient to Children Festive Season: Best time for bonding with children. But HOW? Excellent article and perfect action points.This is a serious issue and parents don’t seem to be realising the ill effects. Good work. Wonderfully analysed article on a topic of immediate concern. Remedial actions makes it practically useful. Do post more articles on the child related topics. Thank you for your positive feedback, Mrs. Veena. We post parenting blogs every friday. Do read them all. Hope you like them. Happy reading!